This is 'Waiting For Tomorrow'. 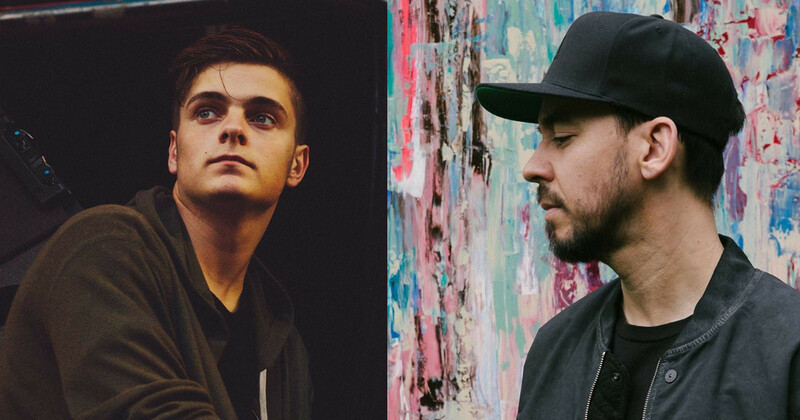 EDM DJ Martin Garrix has released a brand new song, and it's a collaboration with Linkin Park's Mike Shinoda. Before Mike Shinoda was out forging his solo career, he started work on a song with Garrix during the recording of the latest Linkin Park album 'One More Light'. It's only ever existed in an unfinished form, after Garrix performed it live at Ultra Festival back in 2015. But due to overwhelming fan requests, the song has been finished and released. Mike Shinoda took to instagram to share the news, posting "A few years ago, I started a song with Martin Garrix, who came to the studio in LA while we were recording One More Light. In the following weeks, he was in preparations to headline Ultra Festival for the first time, and we agreed he should play the unfinished version of the song as a surprise. But afterwards, as the year unfolded, life took us in other directions, and the track remained unfinished...until now. In response to fan requests, we’re proud to announce that 'Waiting For Tomorrow' is now available online everywhere. Shout out to Pierce Fulton and Brad Delson for their participation on this special track."